Everyone has their own unique daily routines that have become the habit. We go through the motions of these routines without much thought. How many of you include security checks in your daily routine? You would be surprised how many people have little to no thought of their business or home security. Locking up for the night is common but when it comes to extended security, many things are slipping through the cracks. 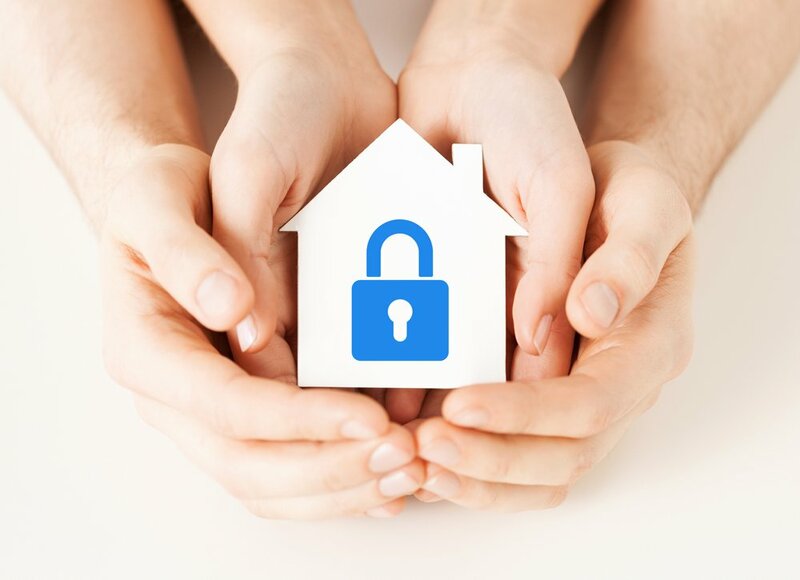 The best thing you can do for yourself is to purchase a professional security system in Jackson. Having a security system allows peace of mind knowing those cracks are filled. Video Surveillance – With the use of cameras, you can view your residence to check on the babysitter or maintenance personnel. You’ll also be able to target traffic on specific areas such as the office, gun safe, or other important areas. With your business, you can monitor employee productivity and help discourage theft. Video footage can be recorded and viewed at a later time. Some cameras have night vision capabilities providing coverage 24/7. There are different types of video surveillance that are used within a security system. Outdoor cameras are designed to withstand varying levels of weather and have a waterproof casing to protect them. Front and back doors along with the corners of the buildings are key places to have outdoor cameras installed. Indoor cameras can come equipped with microphone and speaker abilities. This allows you to talk with the people within your home or business while you are away. Another great perk is the ability to adjust the camera remotely to be able to scan a room in its entirety. Doorbell cameras have become quite popular recently. These are installed within your doorbell and have motion detection and speaking capabilities as well. Pet Immune Motion Detection – This is a must if you have furry friends at home. 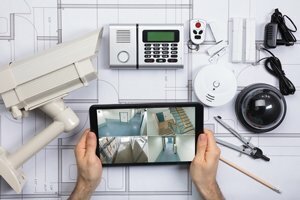 Tripping your alarm system can cost you. Some security companies will charge you for false alarms. With the pet immune motion detection, your system will be able to recognize if it is just Mr. Snuggles running his rounds or an actual intruder. Advanced Smoke Detectors – Not only will these alert you of smoke, they monitor for rapid rising in room temperature signaling the presence of a fire. These few minutes of early detection can make the difference in saving your property or not. Door Locks – For your residential property you can have a keypad entry lock installed on your front and back doors. For your business property, keycard access ability can be added to your security system in Jackson. 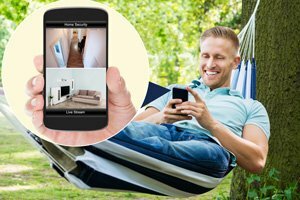 Mobile Surveillance – One amazing advancement with Jackson security system technology is the ability to connect to your security system through your cellphone or tablet! You can monitor and view your video footage remotely. You can also add home automation to your Jackson security system such as disarming the system, locking or unlocking the doors, setting the temperature on your thermostat and even turn lights on and off. No matter your place of residence or business, your professional security company can provide you with a top-notch, customized Jackson security system. You can pick and choose what equipment to include in your security system that would benefit you. At the end of the day it is your peace of mind that is being ensured, so what you want and need is what matters most. Having a professional install your security system gives the added perk of having them also monitor your system. If the alarm is triggered, your security company is alerted along with yourself. At this time, the local authorities will also be contacted. If you are unable to call yourself, this feature is critical. Especially for more rural areas, these few precious minutes can make a big difference in the authority’s response time. Keep it clean! Burglars lookout for properties with overgrown lawns, piled up mail or trash cans that haven’t been emptied recently. If you go out of town, have a neighbor take care of these things for you to keep up appearances. Lock it up. Over 30% of burglars enter through an unlocked door or window without using force. Make sure your windows, doors, sheds, and garages are securely locked at all times. Trim up bushes and trees. Overgrown greenery can provide great coverage for thieves. Pro tip: plant defensive plants such as thorny bushes or cacti to further discourage concealment. Secure exterior wirings. Make sure all power supply cables are secured and safely tucked away so as to not give burglars the opportunity to cut power to your power supply disarming your security system in Jackson. Or better yet, install a wireless security system to avoid this problem. Keep your car keys near your bed at night. If you happen to hear abnormal sounds within or around your home, press the alarm button to help scare away potential burglars. Purchase a safe and have it installed. Place your most valuable items in your safe such as jewelry and important documents. A small safe can easily be taken from your property. Have the safe securely hidden or installed within a closet or wall to prevent it from being taken. Another great tip is to have a relationship with your neighbors. Letting them know when you’ll be out of town so they can keep an eye on the place is helpful. You can also give them a spare key to your home so you don’t have to try and secure a key somewhere on your own property. Business neighbors can also be beneficial. If you all have security systems installed you can watch each other’s backs and potential blind spots. Nothing can make your property completely burglar-proof. 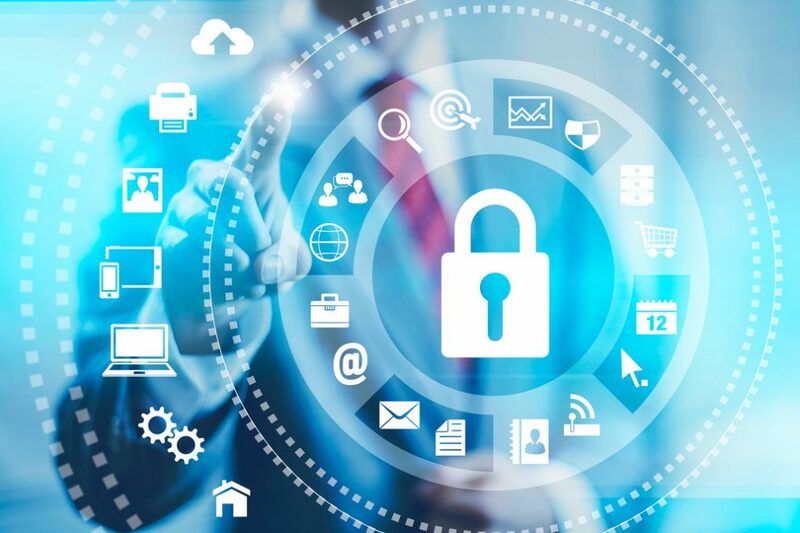 However, these simple tips combined with a professional security system in Jackson will help keep your home and business safe. Don’t wait before it’s too late. Reach out to your Jackson security system company today. You know what they say; it’s better to be safe than sorry.